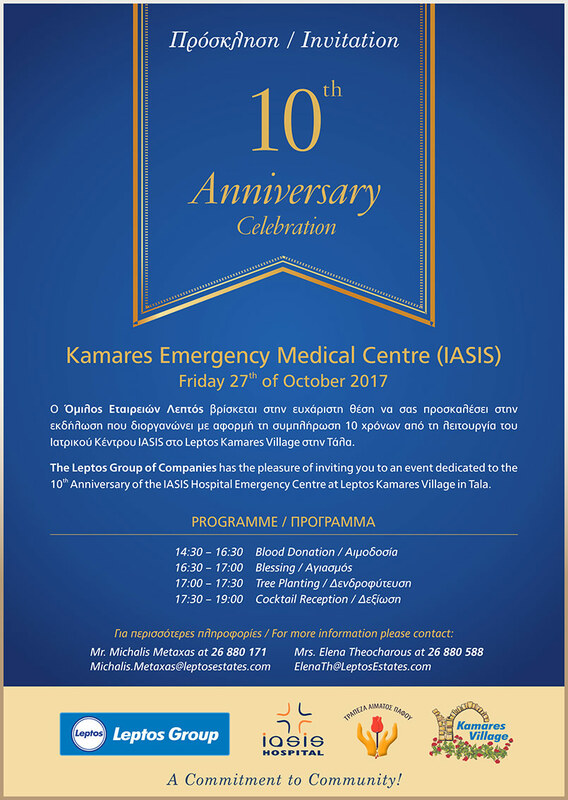 The Leptos Group of Companies and the IASIS Hospital have the pleasure of inviting you to an event dedicated to the 10th anniversary of the IASIS Emergency Medical Centre, at Leptos Kamares Village near Tala on Friday 27th of October. The event programme includes Blood Donation, Blessing, Tree planting and a cocktail Reception. Iasis Hospital and the Kamares Emergency Medical Centre provide quality Medical care and professional treatment to residents, visitors and tourists in the Paphos district with highly trained staff in the new generation of medical technology. 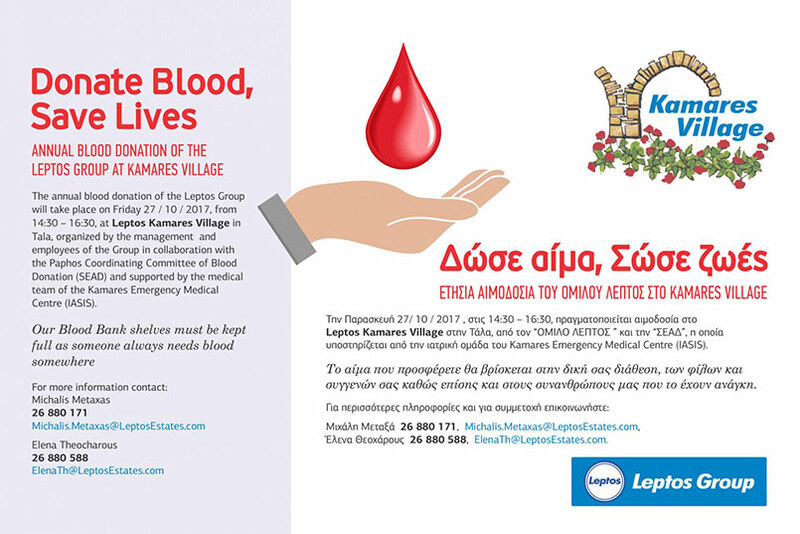 Come join us at Leptos Kamares Village on Friday afternoon, October the 27th in order to celebrate our 10 year anniversary and to support the Paphos General Hospital’s Blood Bank. This entry was posted in News on October 16, 2017 by iasis Hospital.